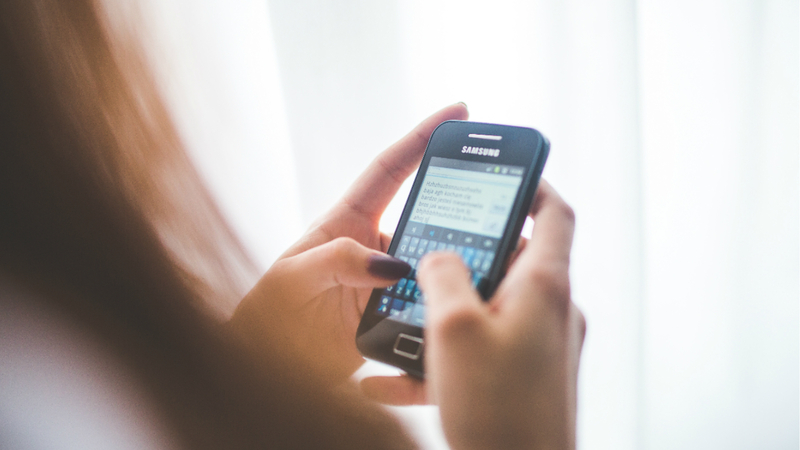 A man got the shock of his life recently after a girl he’d been on a date with launched into an insane, unprovoked rant. Straight away, the woman replies and makes it clear that she didn’t want to take him on another date. 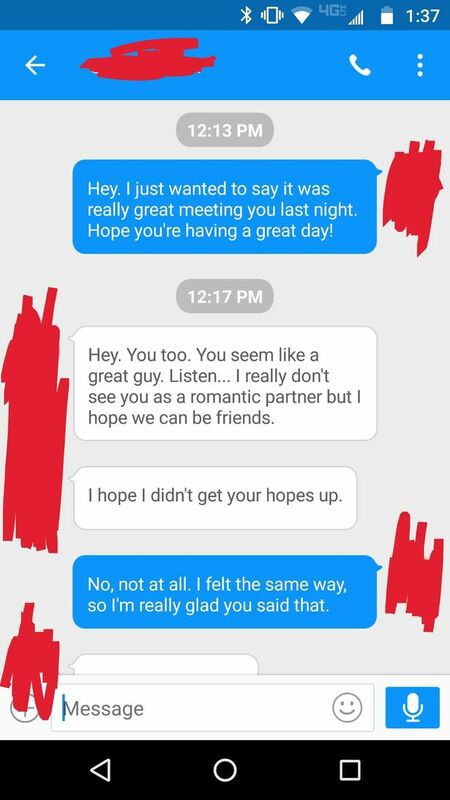 “You seem like a great guy. Listen… I really don’t see you as a romantic partner but I hope we can be friends. I hope I didn’t get your hopes up,” she said. Fair enough, right? However, things took a turn for the worse after the guy replied to say that the feeling was mutual. “No not at all. I felt the same way, so I’m really glad you said that,” he said. What came next was a tirade of abuse, with the woman clearly taken aback after being told he didn’t want to see her again. In a series of increasingly insulting messages, she wrote: “Seriously?! 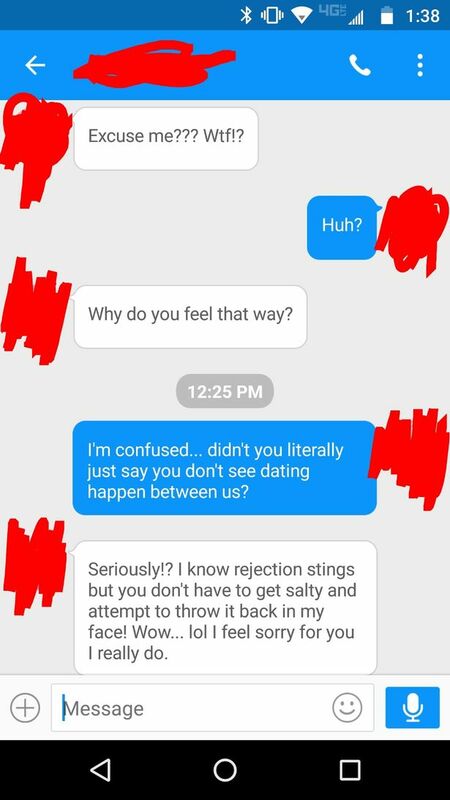 I know rejection stings but you don’t have to get salty and attempt to throw it back in my face! Wow… I feel sorry for you I really do. She wasn’t finished there either, going on to criticise his receding hairline, and even his ‘old man’ walk. 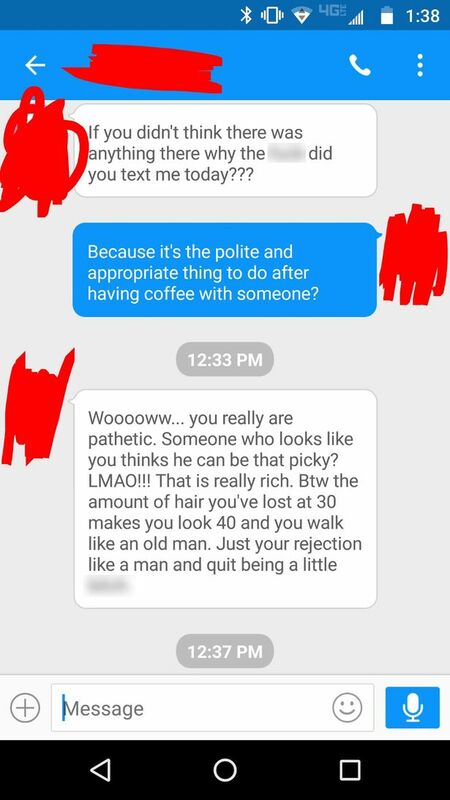 After the guy wrote back, “because it’s the polite and appropriate thing to do after having coffee with someone,” the woman hit out, saying: “Btw the amount of hair you’ve lost at 30 makes you look 40 and you walk like an old man. 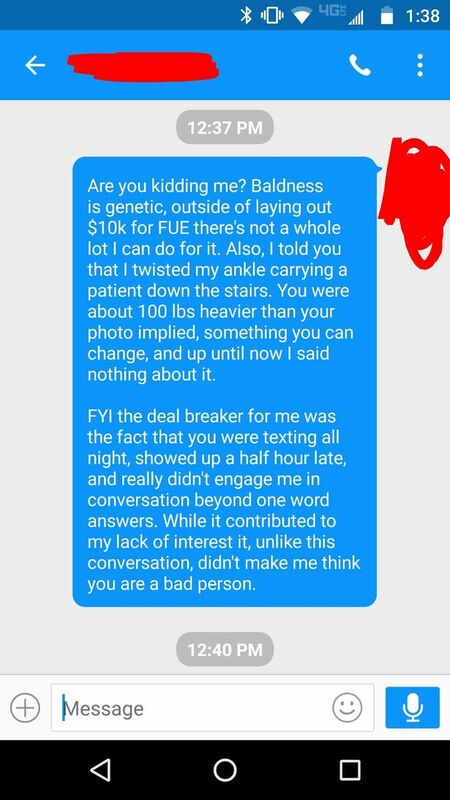 Charming… however, the guy had his own scathing criticism too, saying: “Baldness is genetic, there’s not a whole lot I can do for it. Also, I told you that I twisted my ankle carrying a patient down the stairs.